For a dynamic holiday package discovering the beautiful setting of Lake Garda, choose our Trekking Package! 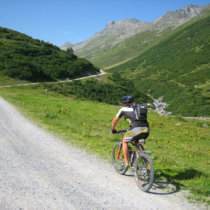 With a 6-day stay (5 nights) at Villa Arcadio, you’ll have the opportunity of exploring the surroundings of Salò by bike, guided by a certified professional. Relax and recover your expended energy by the outdoor pool, at the spa area with a Finnish sauna, and a full array of massages and treatments. For a wonderful end to your day, return to the hotel and reward yourself every evening with a dinner of seasonal specialties at Villa Arcadio Restaurant. Exclusive offer available only from our official website!